What is great about Cheyenne is the variety of places to enjoy various cuisines. Whether you want Italian, Mexican, Chinese, Indian, sushi or a good old fashioned burger, we got it! Not only do we have it, but they are authentically good. 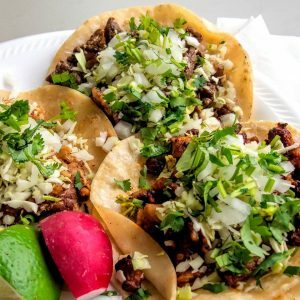 We have your Taco Bells, Chiptole and Qdobas but really nothing beats the delicious Mexican restaurants around town that are locally owned and operated. Guadalajara is a family owned business in Cheyenne and has two locations. Tortilla Factory is the same! They have a location off of Dell Range and one off of South Greeley, which is the best place to enjoy great chips and bean dip. We have Anongs, Bejo, Twin Dragon and many other locally owned traditional cuisine locations throughout the community. There is something that tastes so good too when you are supporting a local business. Another example of this is 2 Doors Down. This business is owned and operated by a husband and wife who have been extremely successful. They are a downtown anchor and offer both Italian food and amazing burgers. Cheyenne has the flavor for you if you like having a variety of yummy places to eat and enjoy. We only scratched the surface with what we shared. We also have Wyoming Rib & Chop House, The Albany, Accomplice, the list just keeps going and going! More reasons to love Cheyenne!